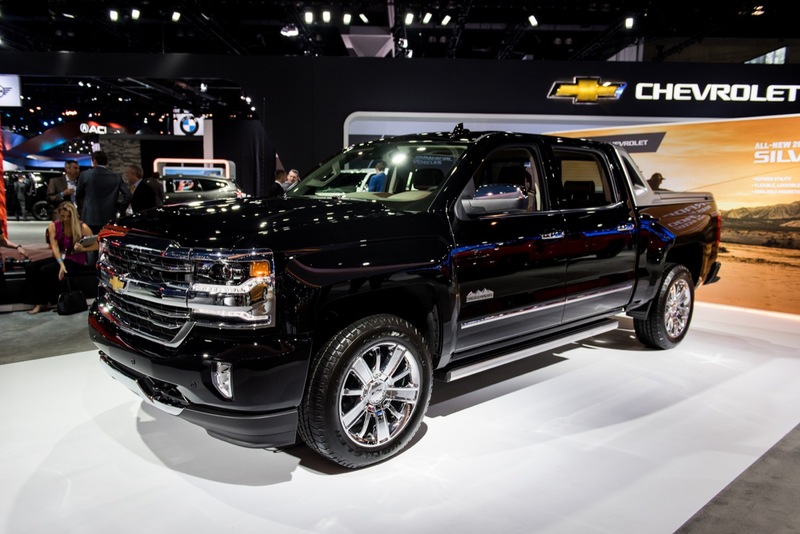 The Chevrolet Silverado 1500 line of half-ton full-size pickup trucks receives several updates, new features, and equipment changes for the 2017 model year. 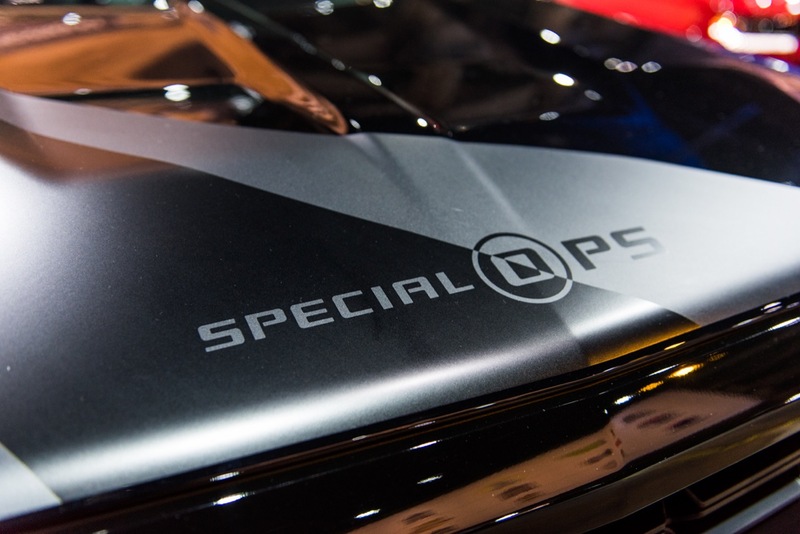 Rounding out the changes to the exterior is the inclusion of a capless fuel fill system as a standard feature across every model and trim level, with the exception of trucks ordered as pickup box delete, which will continue having the capped fuel fill. In addition, the 2017 Silverado 1500 gets a new P265/65R18 off-road tire as an option on the 1LT trim. 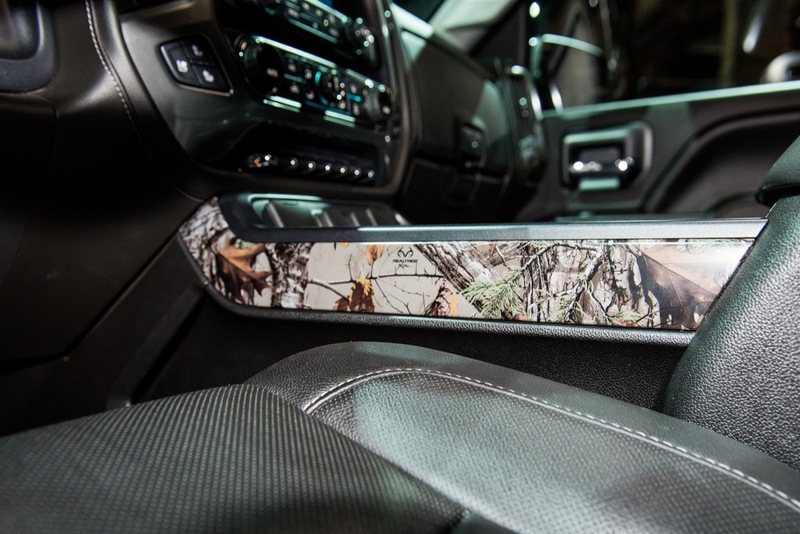 Lastly, the rearview camera is now a standard feature on the LT trim level and is therefore removed from the LT Convenience Package, Texas Edition and All Star Edition. 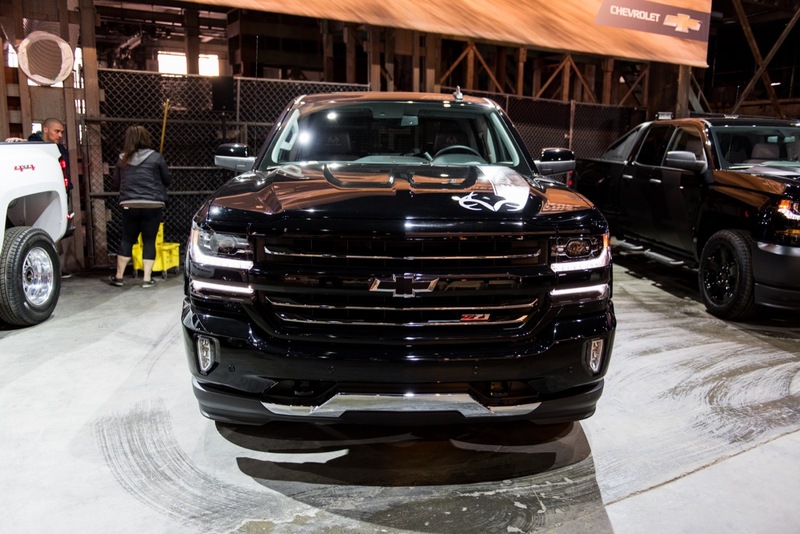 The design of the 2017 Silverado 1500 goes unchanged from the 2016 model year, which received various styling updates. 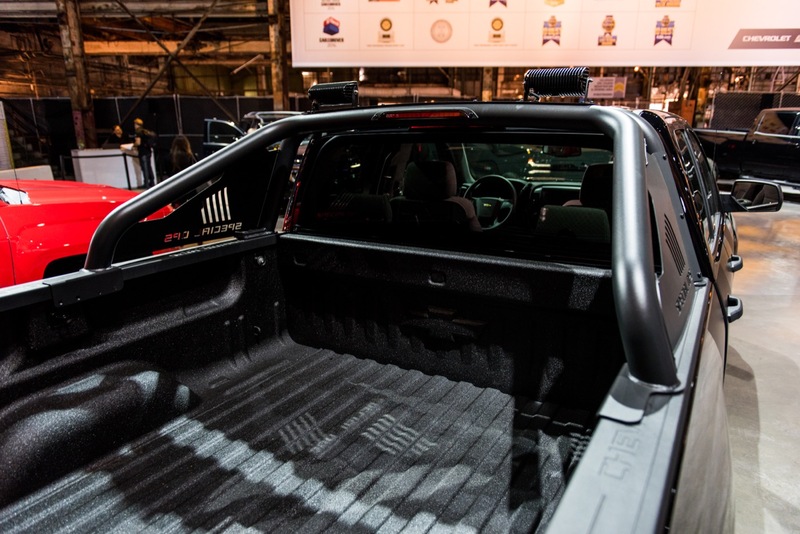 Silverado’s cabs are designed to reduce wind noise in the cabin. Inlaid doors, for example, fit into body sides rather than wrapping over the roof. 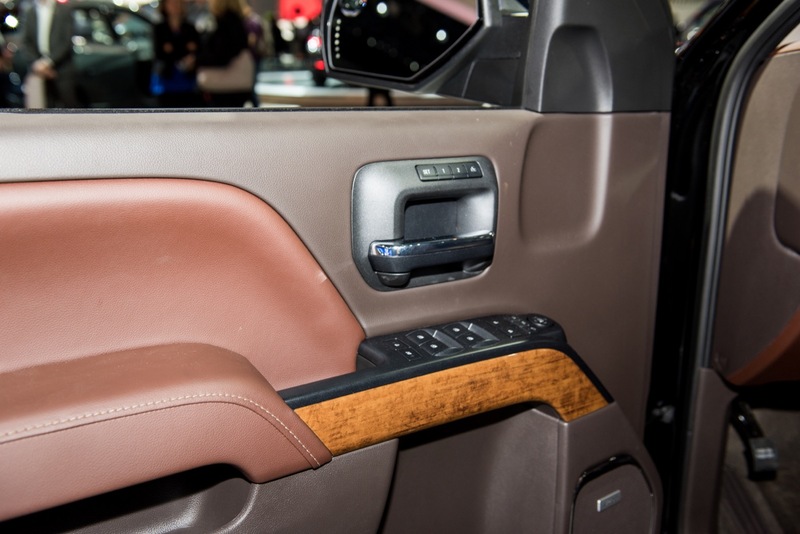 They combine with triple door seals to reduce wind noise and turbulence, helping quiet the cab. 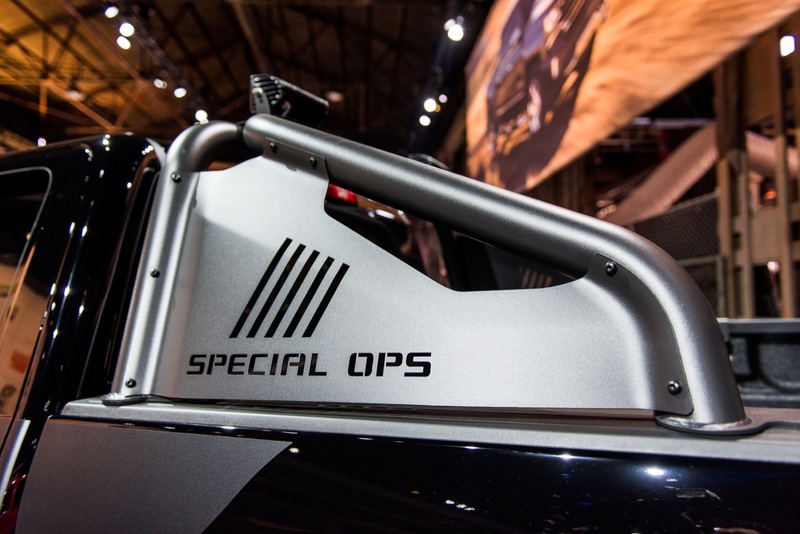 Also, the front of the truck is carefully sealed to provide efficient cooling with minimal aerodynamic drag. 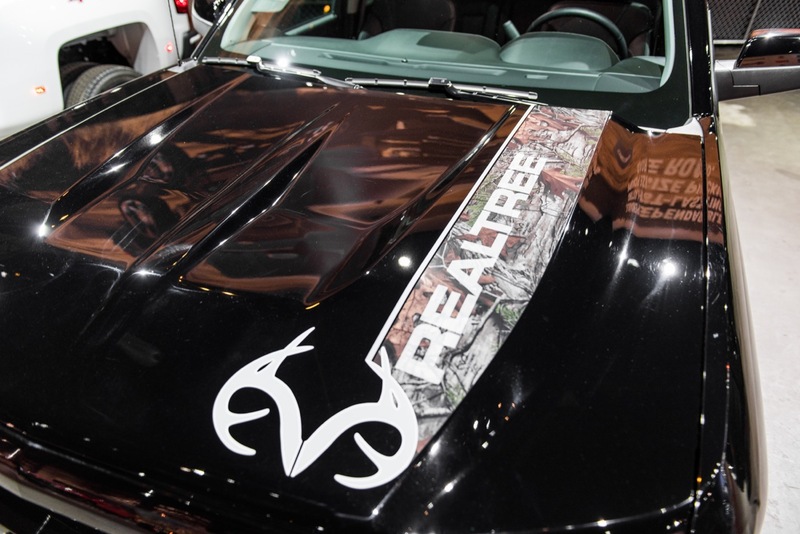 An aluminum hood with twin power domes also enhances efficiency with lower weight than a steel hood. 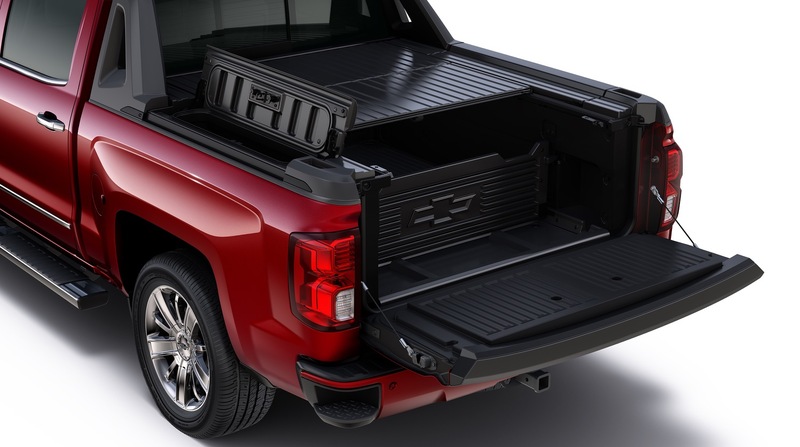 The EZ Lift-and-Lower tailgate makes it easier to access the box. An internal torsion bar reduces the effort to raise and lower it, while a rotary damper allows for a controlled and more gradual lowering motion when opening it. 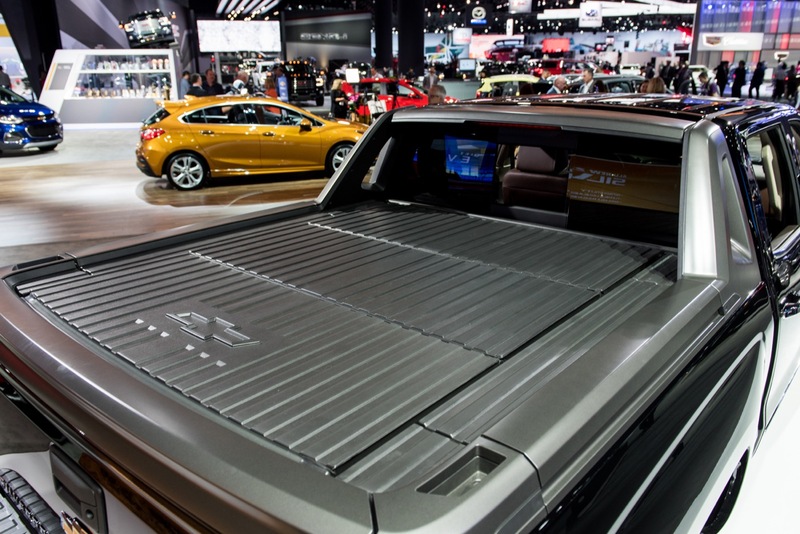 The tailgate is also easily removable without tools. 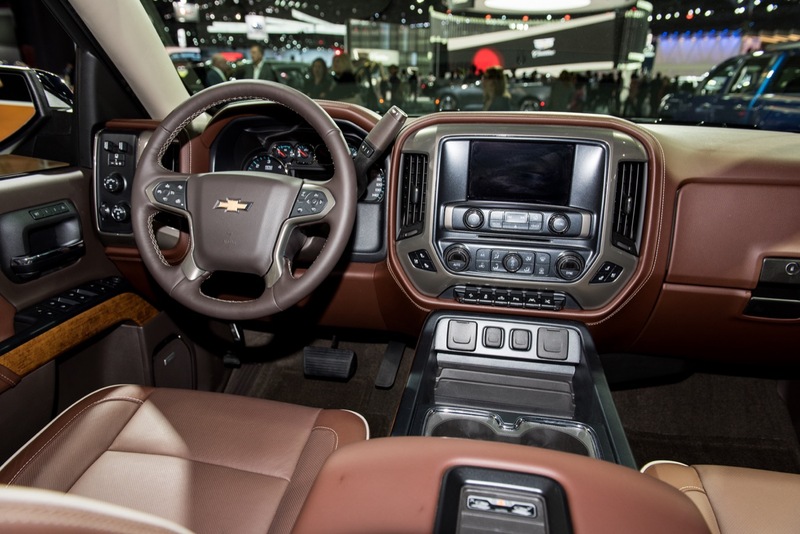 It is standard on LT, LTZ and High Country models. Heated, power-adjustable trailering mirrors are available on LS and LT, featuring segment-first LED rear guidance lamps. New for the 2017 model year is a capless fuel fill system as a standard feature across every model and trim level. Trucks ordered as pickup box deletes will continue having the capped fuel fill. 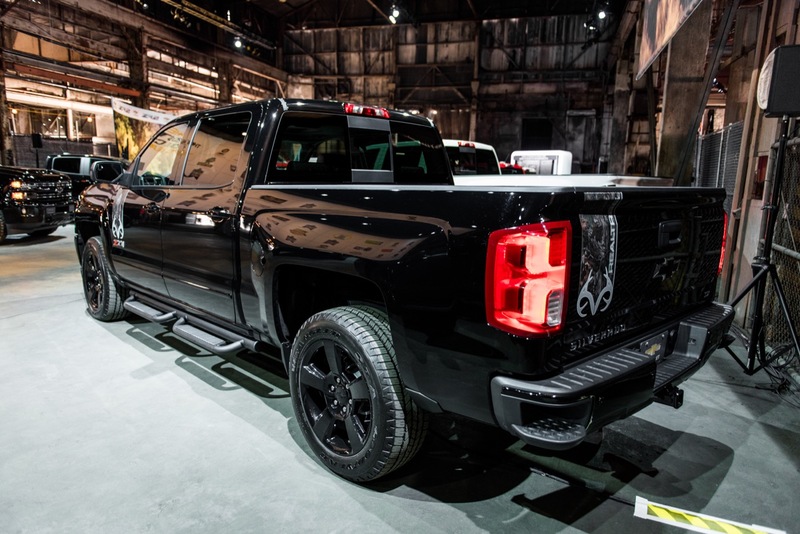 The 2017 Silverado 1500 offers 15 stock wheels and 10 stock tires. 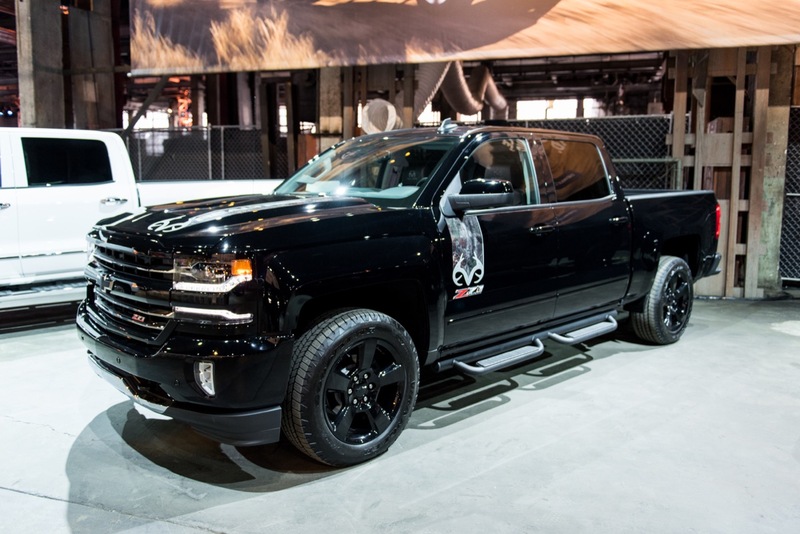 Complete details on 2017 Silverado 1500 wheels. 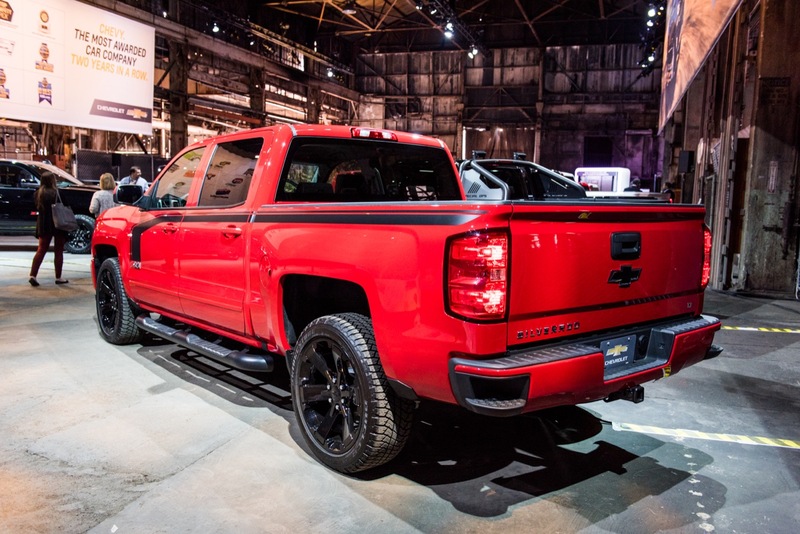 Complete details on 2017 Silverado 1500 tires. 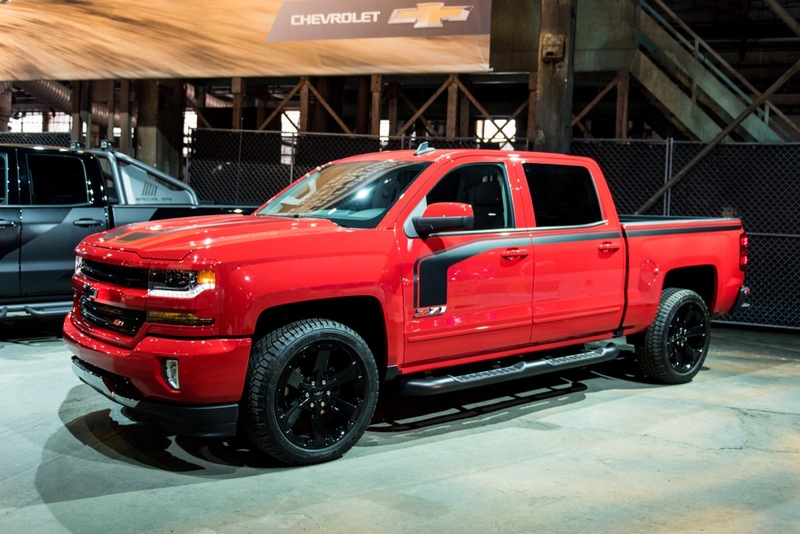 The 2017 Silverado 1500 is available in nine exterior colors and five interior color combinations. 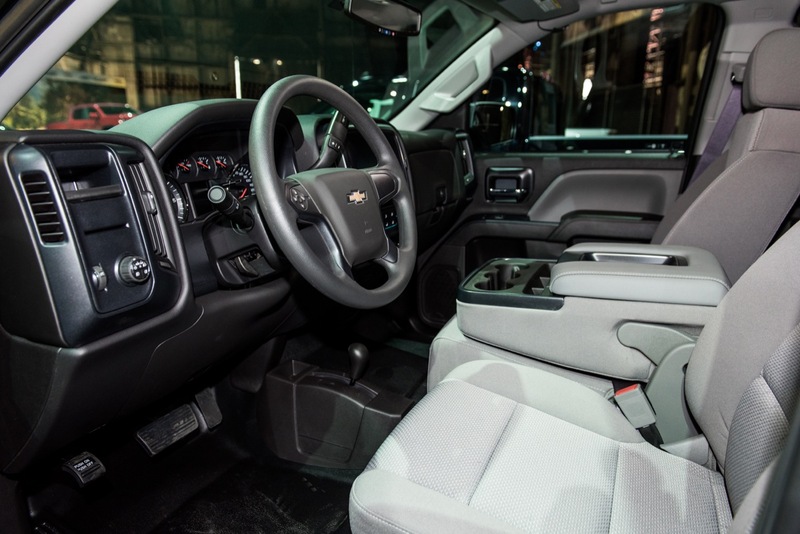 The Silverado’s interior is roomy, quiet and functional, with a strong cab structure as the foundation for its refinement. 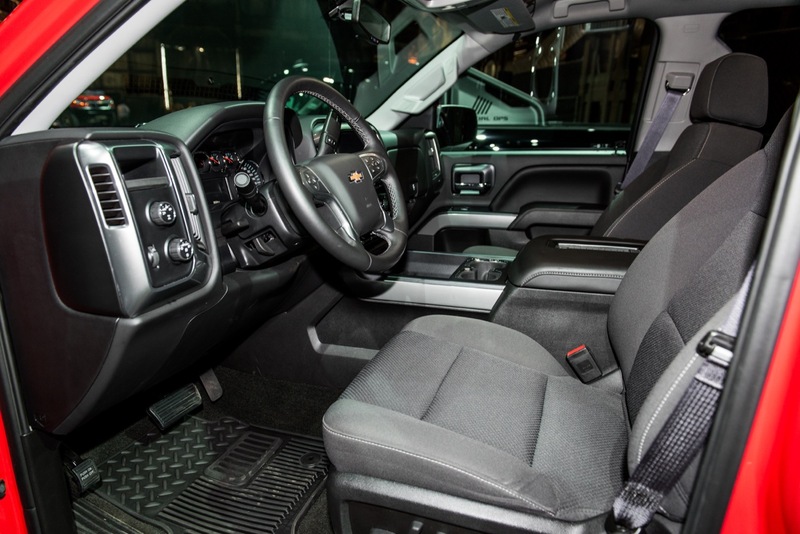 Nearly two-thirds of the cab is made of high-strength steel, while shear-style body mounts are used to tune out both up-and-down and side-to-side movement for a quiet, comfortable ride. Double and crew cab models have a set of hydraulic body mounts to further isolate the cabs. 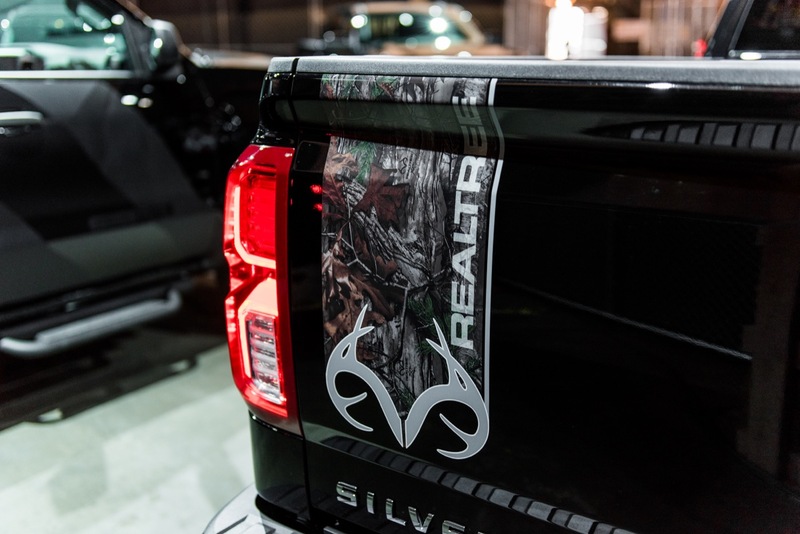 Active noise cancellation is standard when the Silverado is equipped with the available 6.2L V-8 L86 engine. All models feature an upright instrument panel with a six-gauge instrument cluster that include speedometer, fuel level, engine temperature, tachometer, voltage and oil pressure. 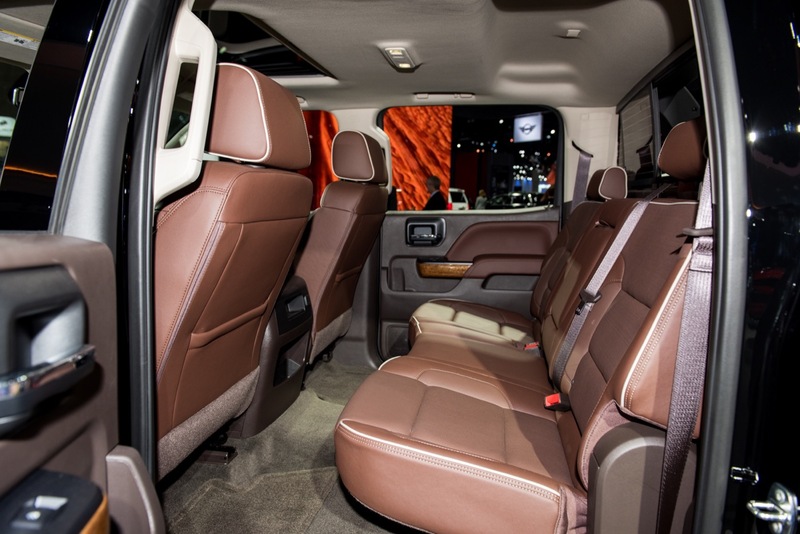 The cabin also features multiple storage options tailored to the needs of customers who rely on their truck for more than simply hauling cargo. The controls are logically placed and easy to operate with work gloves on. 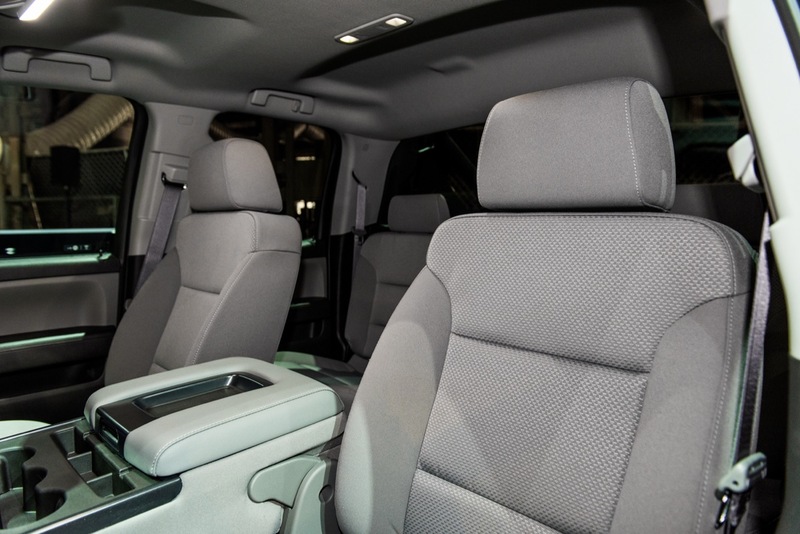 Ambient lighting highlights all functional areas, such as the “4×4” and headlamp switches, as well as the radio, for easier viewing at night. 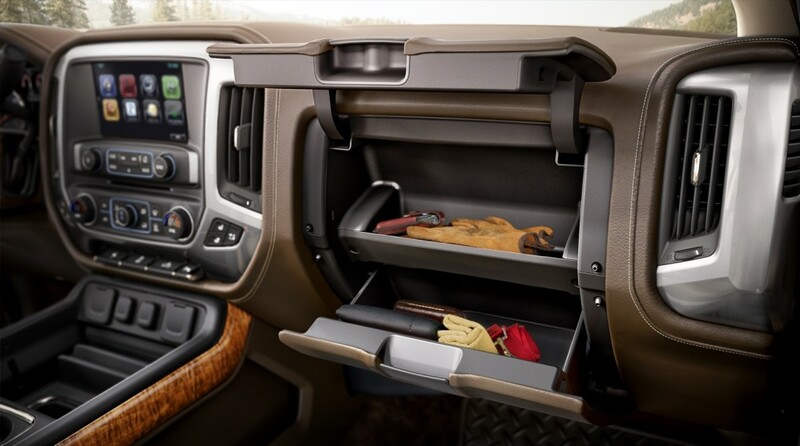 All models have a vast amount of interior storage. The center console – available on vehicles with front bucket seats – offers nearly one cubic foot (24.5 liters) of combined storage space – about 25 percent more room than a typical paper grocery bag, with the depth and width to conceal a laptop computer. 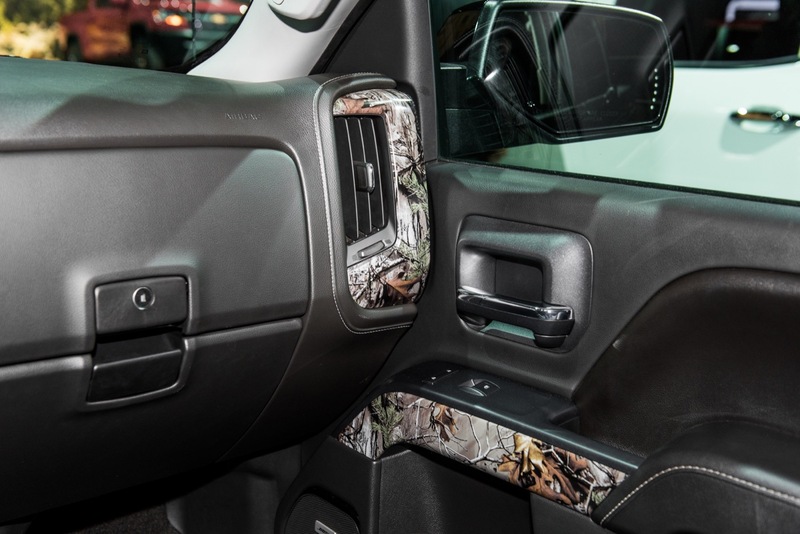 The locking center console also accommodates hanging files for owners who use their truck as a rolling office, as well as controls for overhead ambient lighting, map pockets along the side, cup holders and reconfigurable compartments. The console also includes USB ports, two 12-volt power points and a new 110-volt outlet. 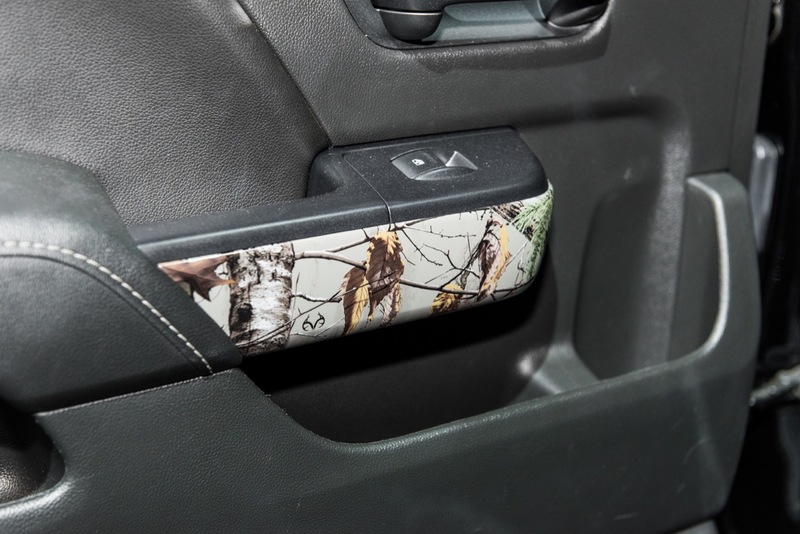 The console also has a location designed specifically for cell phone storage. 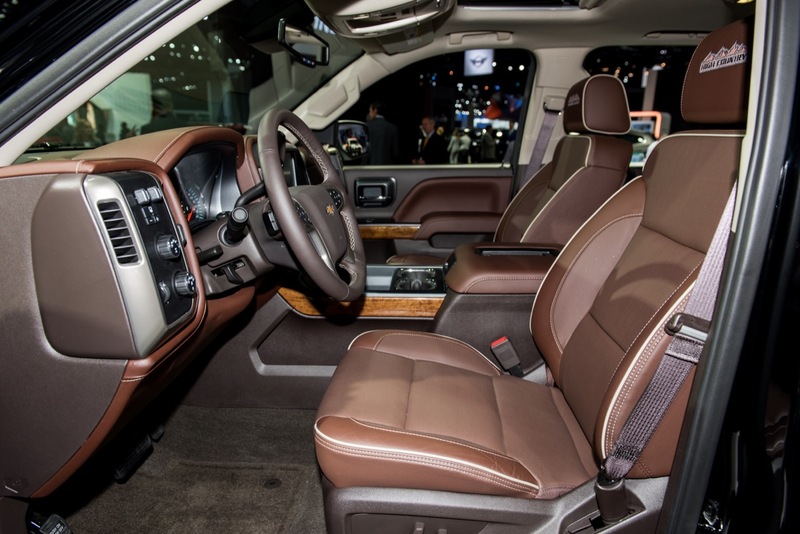 Silverado 1500 WT features the 40/20/40-split fold-down center armrest with covered storage and connectivity, with USB ports and two 12-volt power points. 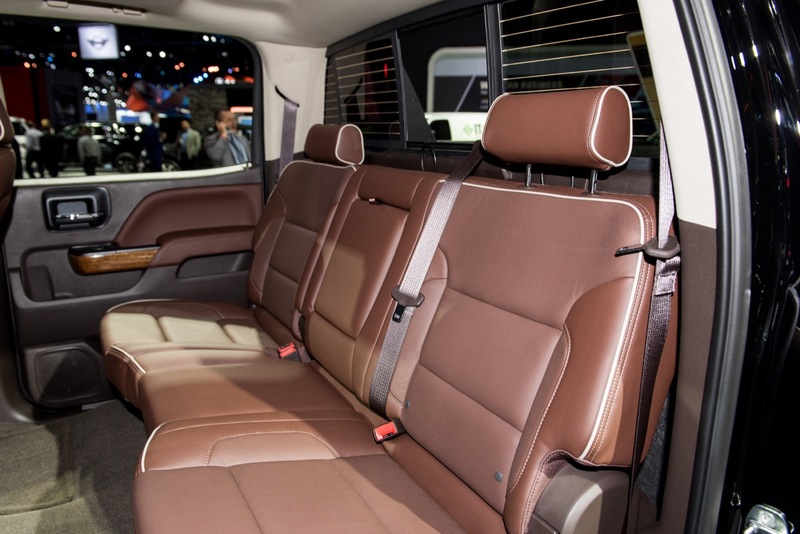 This seating configuration is also available on models outside the WT trim. 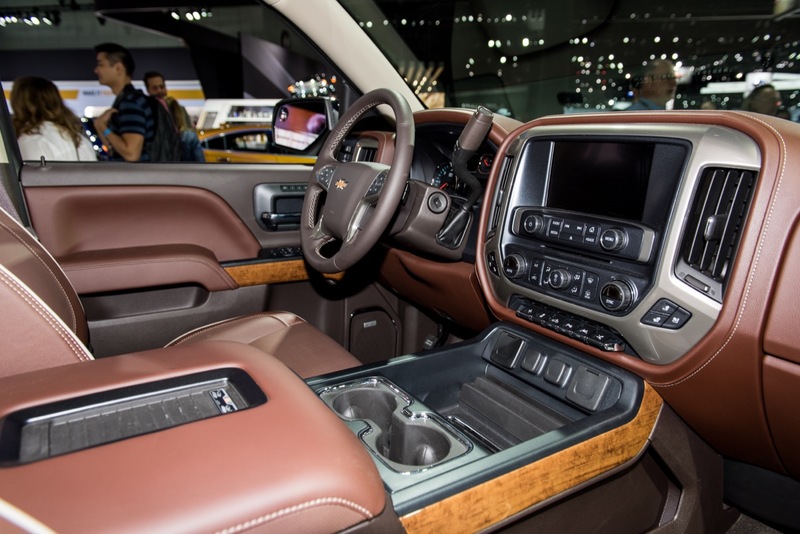 Complete details on 2017 Silverado 1500 interior colors. WT – 40/20/40-split bench seat with fold-down armrest that includes covered storage and three integrated cup holders. Vinyl seating is standard on the WT, with cloth seating available. LS – 40/20/40-split bench seat with fold-down armrest that includes covered storage and three integrated cup holders. 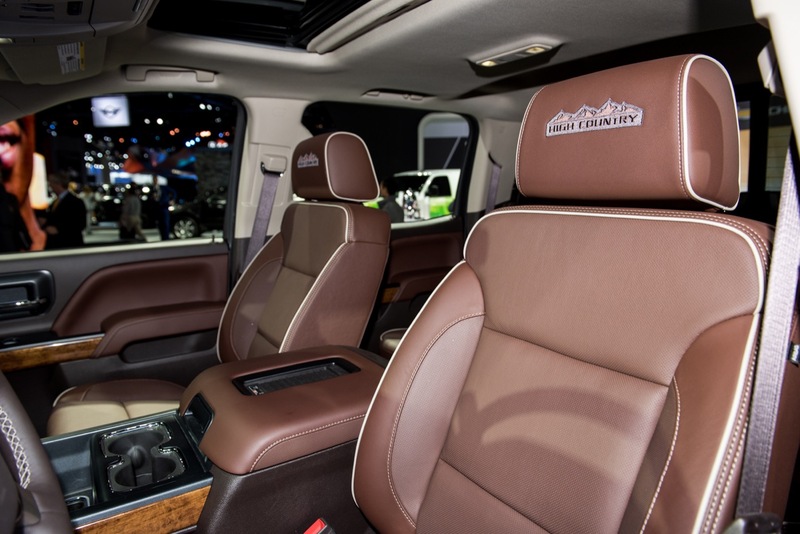 Cloth seating is standard on the LS. 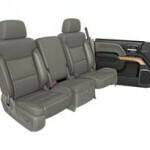 LT – 40/20/40-split bench seats in cloth with fold-down armrest that includes covered storage and three integrated cup holders, lockable under-seat storage compartment is standard. 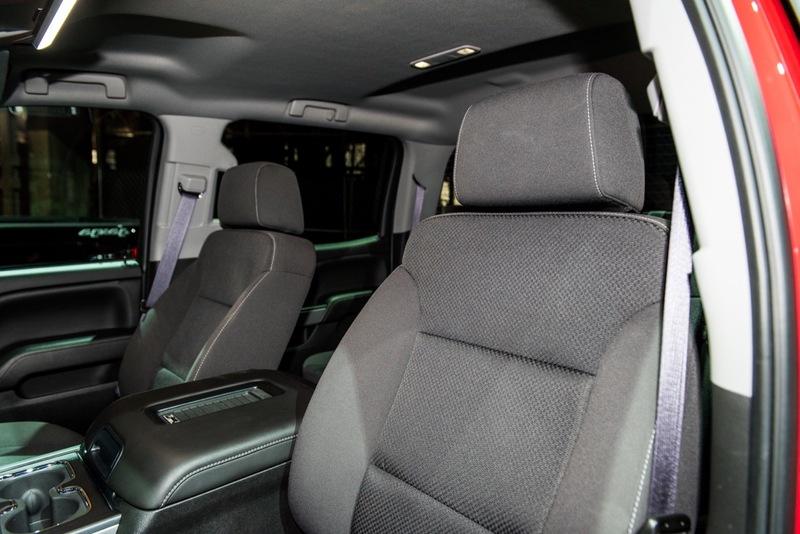 Cloth bucket seats or a heated, leather-appointed 40/20/40 bench seat is available. 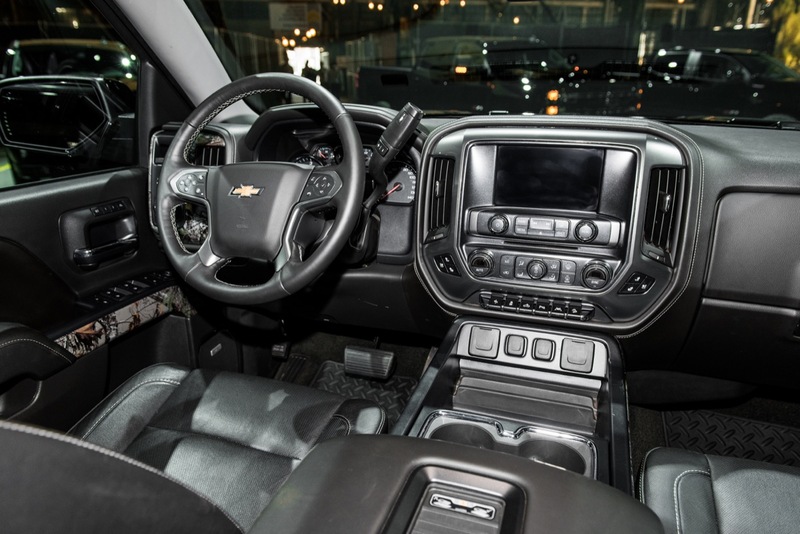 LTZ – Heated, leather-appointed bench seat with 10-way driver and outboard passenger seat adjusters, including power lumbar and driver’s two-position memory. 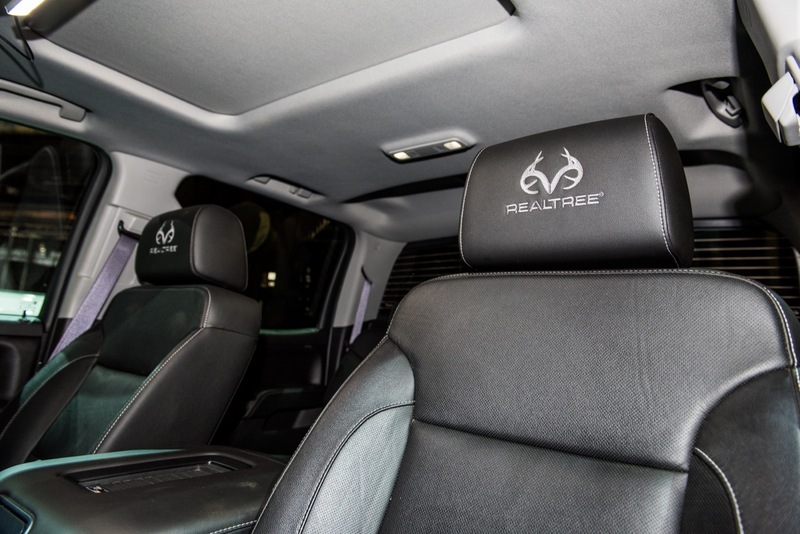 Heated leather-appointed bucket seats are available. 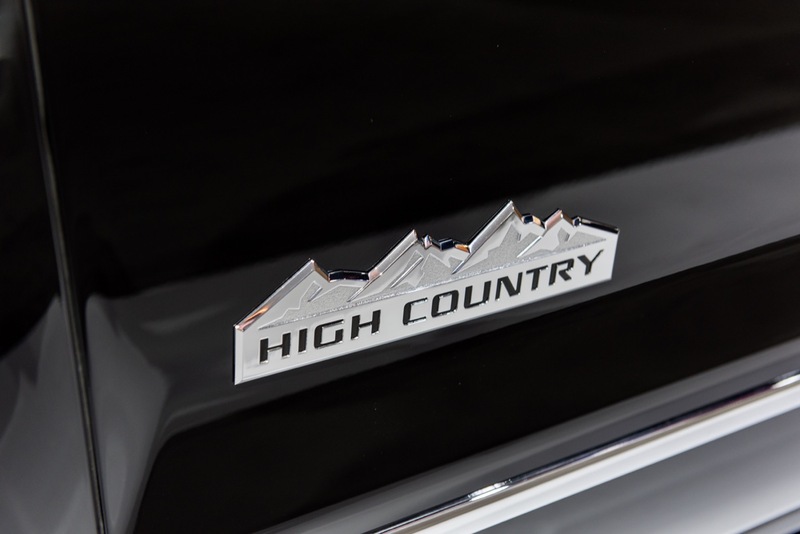 High Country – Heated and vented, leather-appointed bucket seats with 12-way power adjustments, including four-way power lumbar control and two-position driver memory. 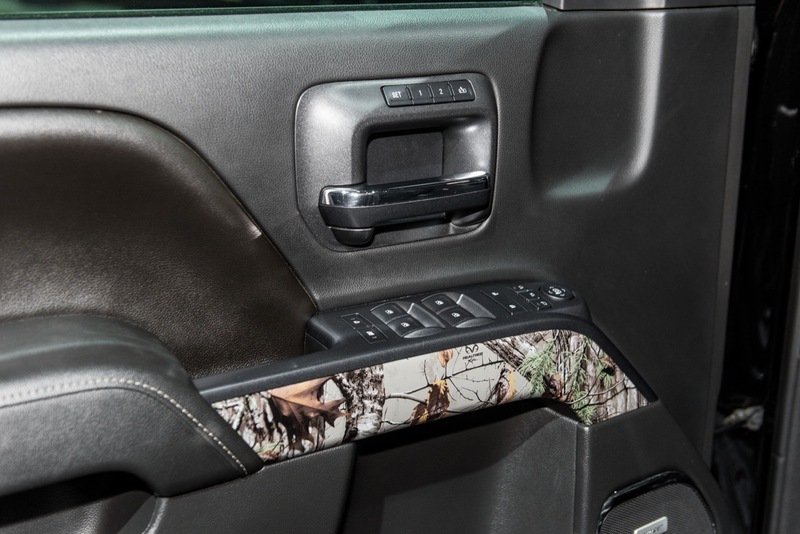 For the prior, 2016 model year, the Silverado 1500 received an all-new radio with a 7-inch-diagonal color touchscreen. 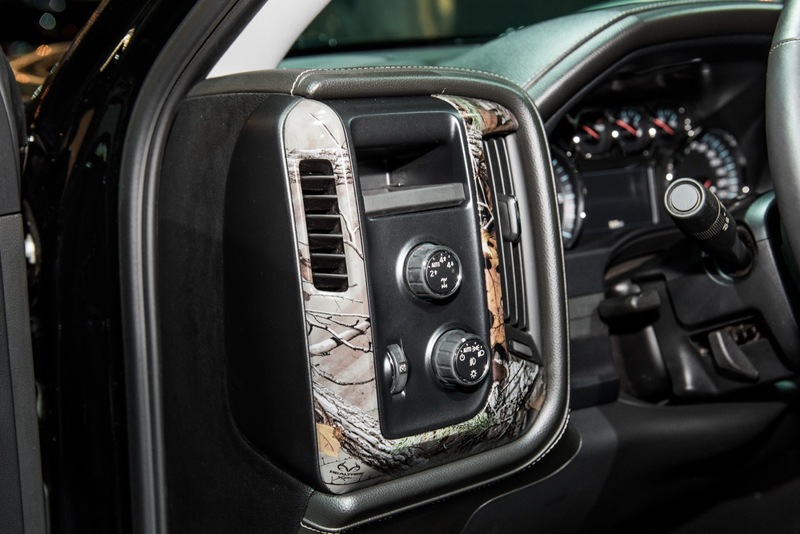 The new radio carries over to the 2017 model year, with the new 7-inch unit being available on WT models and standard on the LS trim. 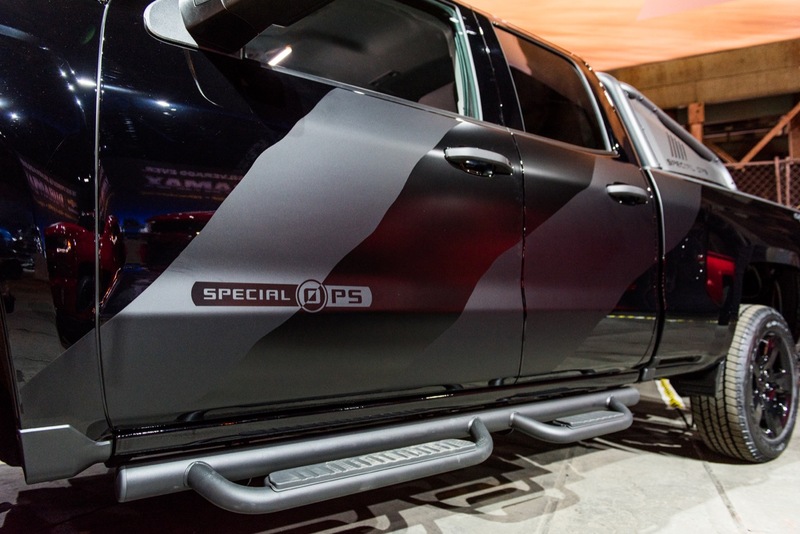 An 8-inch system is offered on higher trim levels and equipment packages. Both radios offer improved system speed and performance, faster, more accurate map loading, faster service reprogramming and redesigned navigation interfaces, including a quick list of recently-browsed points of interest, point of interest country grouping, last destination screen and visual landmark indication with map guidance (on navigation radios only). The 8-inch radio offers enhanced voice command execution, while the new 7-inch radio uses pass-through voice recognition that is handled by the user’s phone. 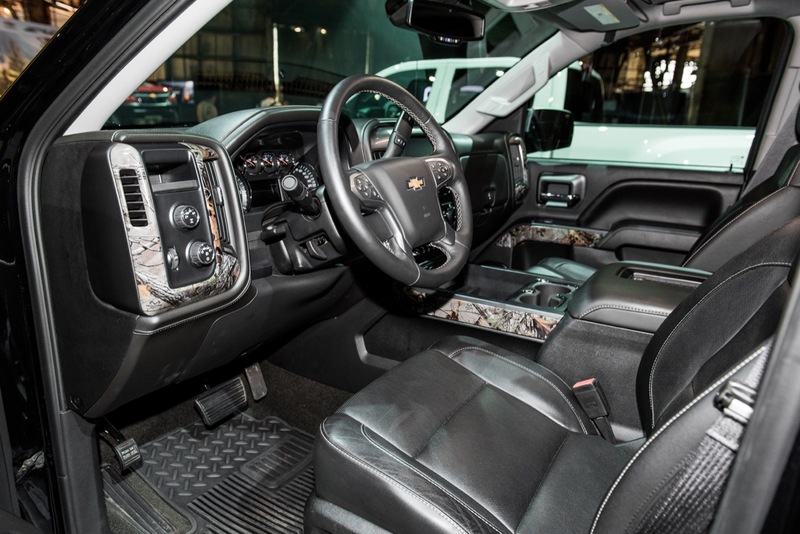 Complete details on 2017 Silverado 1500 radio headunits. 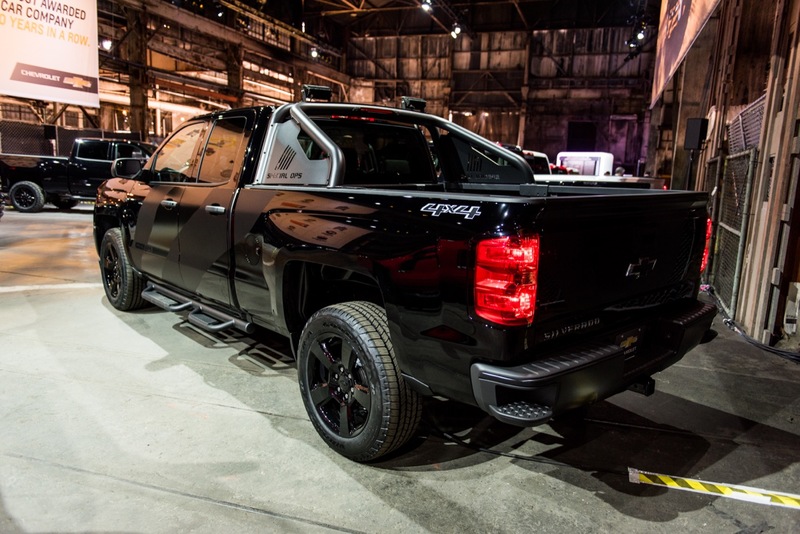 New for the 2017 Silverado is the GM AppShop. Built into the IO5 and IO6 radios, the App Shop allows users to browse, select and install apps on the vehicle’s radio system. Apps include Pandora, iHeartRadio, The Weather Channel and more. 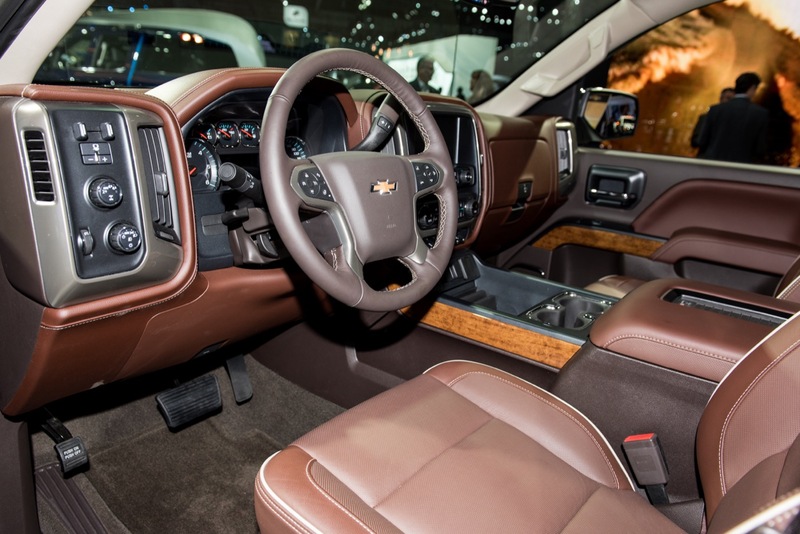 Wireless phone charging is available on LT and LTZ double cab and crew cab models with available bucket seats. 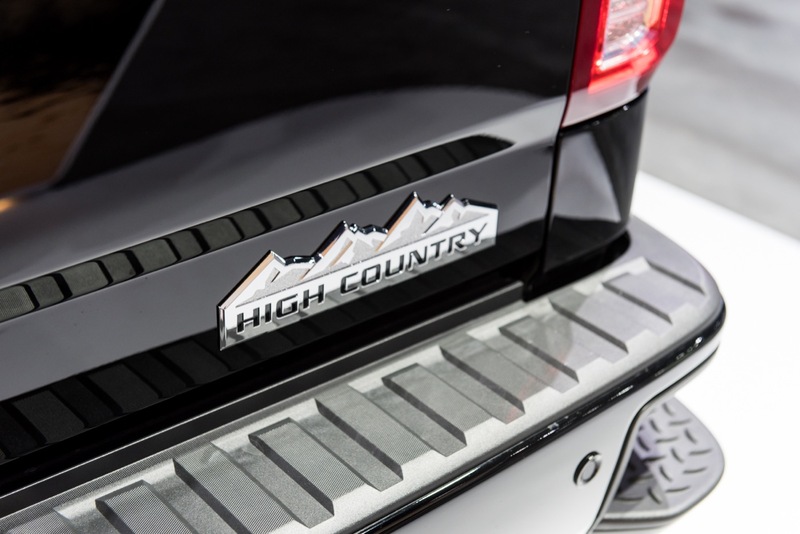 The feature is standard on High Country models. Also new for Silverado 7-inch and 8-inch radio systems is Android Auto and Apple CarPlay capability. 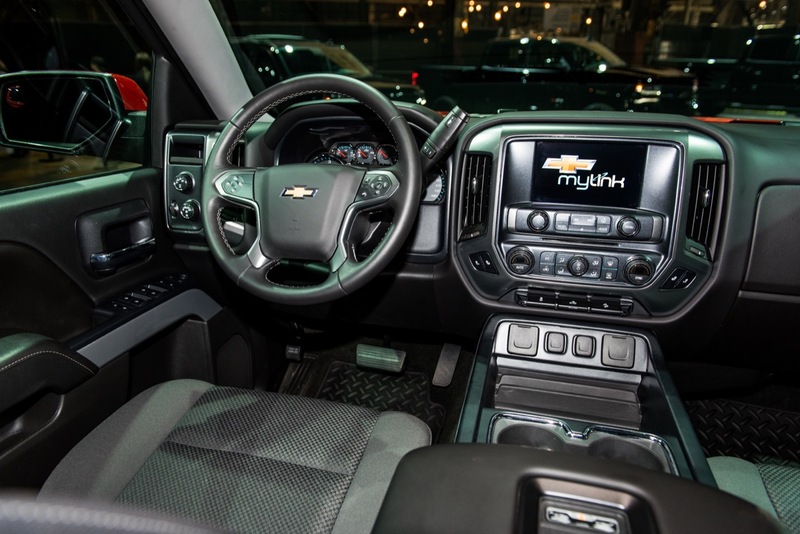 Available on most models, Apple CarPlay and Android Auto provide simple and smart use of smartphones in the vehicle, integrating certain phone functions onto MyLink’s color touchscreen and allowing users to call up music, navigation apps and more via compatible phones. MyLink with the 7-inch display is compatible with Android Auto and Apple CarPlay on equipped models. The 8-inch system features Apple CarPlay compatibility on most models at the start of the model year. 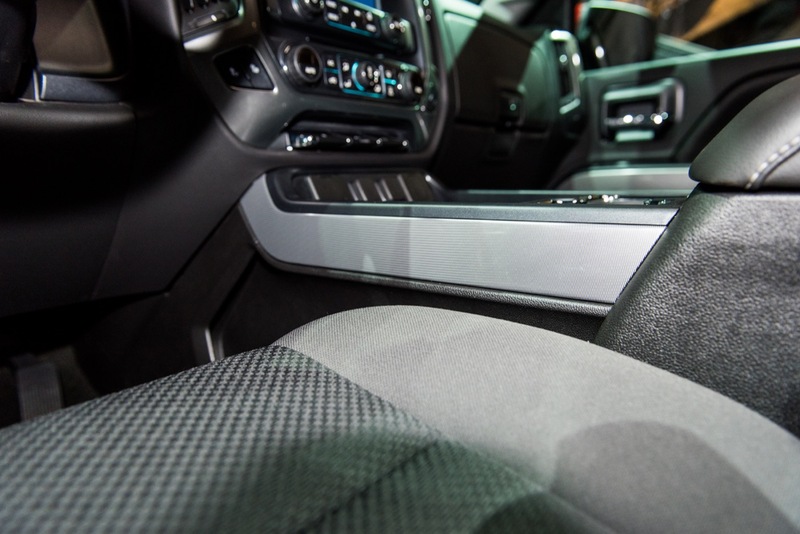 Complementing MyLink to enhance Silverado’s connectivity is OnStar 4G LTE with Wi-Fi hotspot. It provides a mobile hub for drivers and passengers to stay connected. The hotspot supports up to seven mobile devices and is on whenever the vehicle is on. It comes with a three-month/three-gigabyte data trial. It is available on WT and standard on other models. 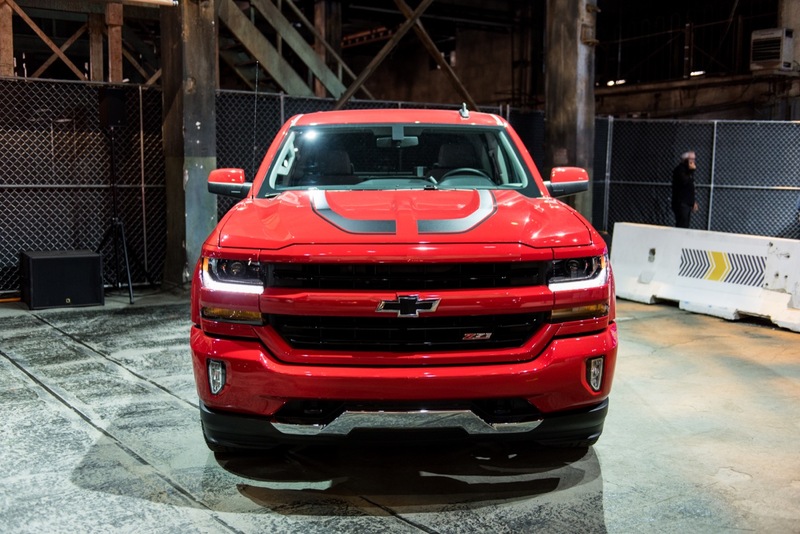 The 2017 Silverado 1500 is available with three engines, two transmissions, and four rear axles. 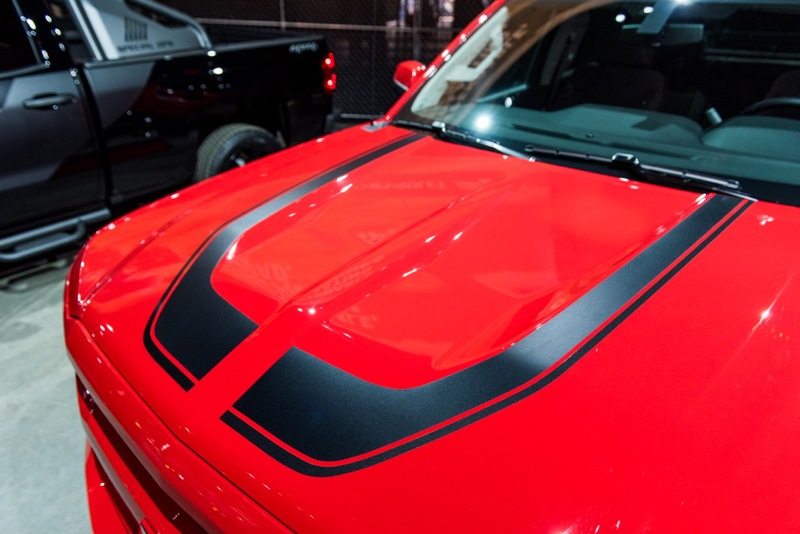 In addition, the pickup truck is available in either rear-wheel-drive or all-wheel-drive. The 4.3L V-6 LV3 is SAE-certified at 285 horsepower (212 kW) and 305 lb-ft of torque (413 Nm) – the most torque of any standard V-6. The 5.3L V-8 L83 is SAE-certified at 355 horsepower (250 kW) and 383 lb-ft of torque (519 Nm). 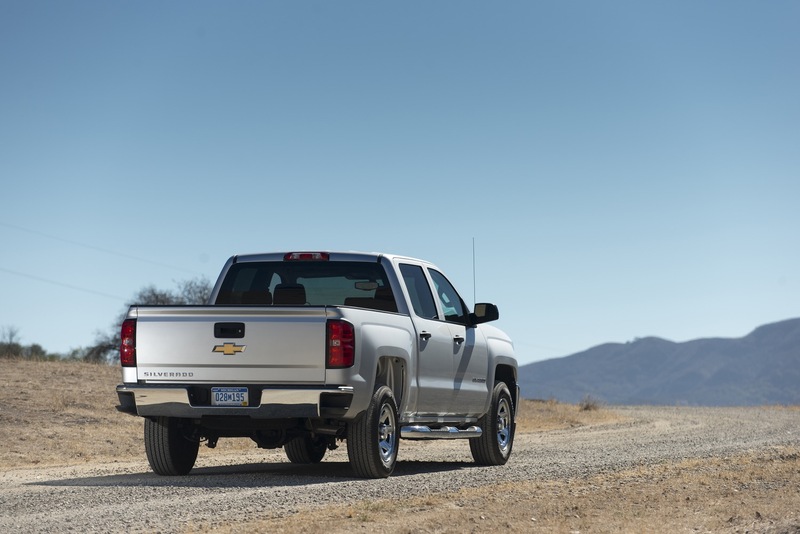 With EPA-estimated fuel economy of 23 mpg highway (2WD), it offers the best fuel economy of any V-8 pickup. 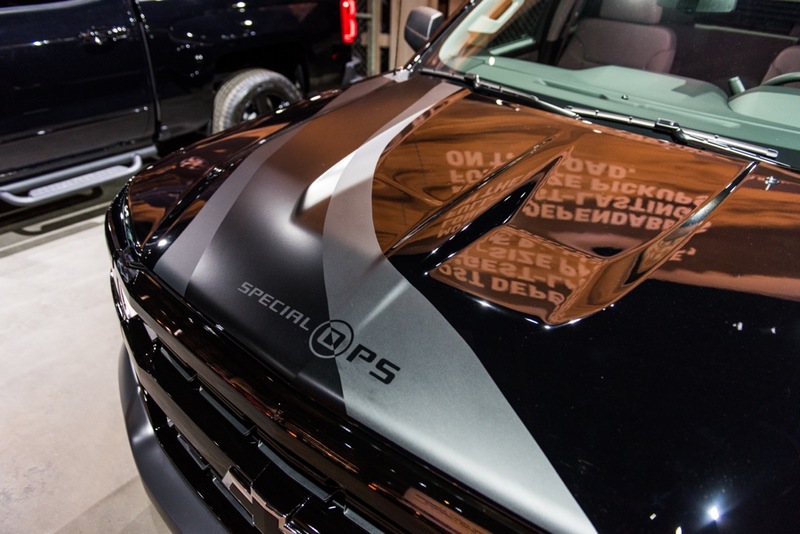 The 6.2L V-8 L86 is the most powerful engine offered in any light-duty pickup truck, with SAE-certified 420 horsepower (313 kW) and 460 lb-ft of torque (623 Nm). 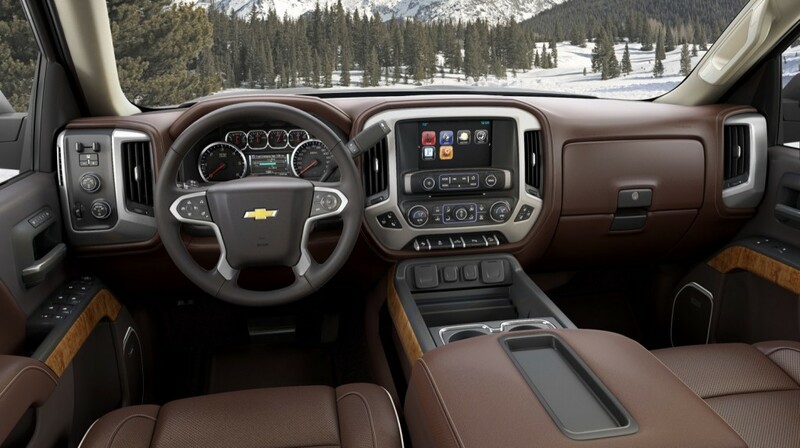 It is available with LTZ and High Country, and matched with the 8L90 eight-speed transmission. 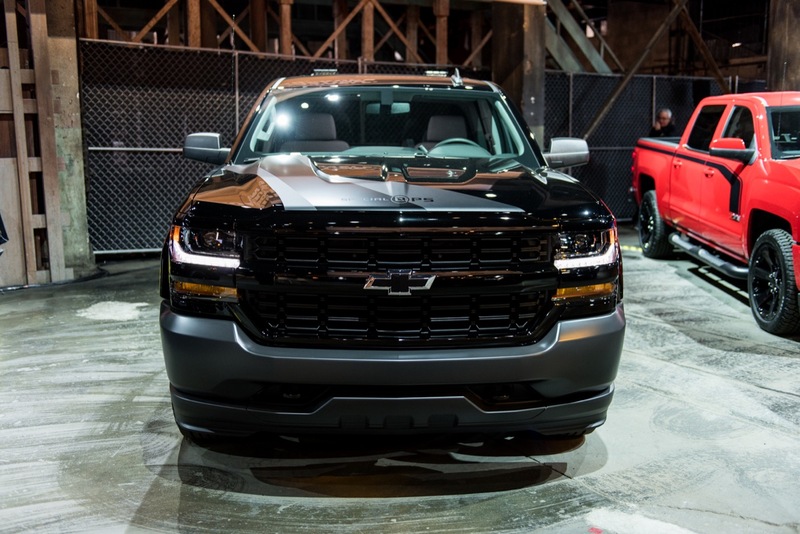 The 2017 Silverado 1500 offers two transmissions — a 6-speed automatic and an 8-speed automatic. The Hydra-Matic 6L80 MYC six-speed automatic transmission is matched with the 4.3L V-6 and 5.3L V-8 engines in WT, LS and LT models. The transmission is electronically-controlled with overdrive and tow/haul mode. It includes Cruise Grade Braking and Powertrain Grade Braking. 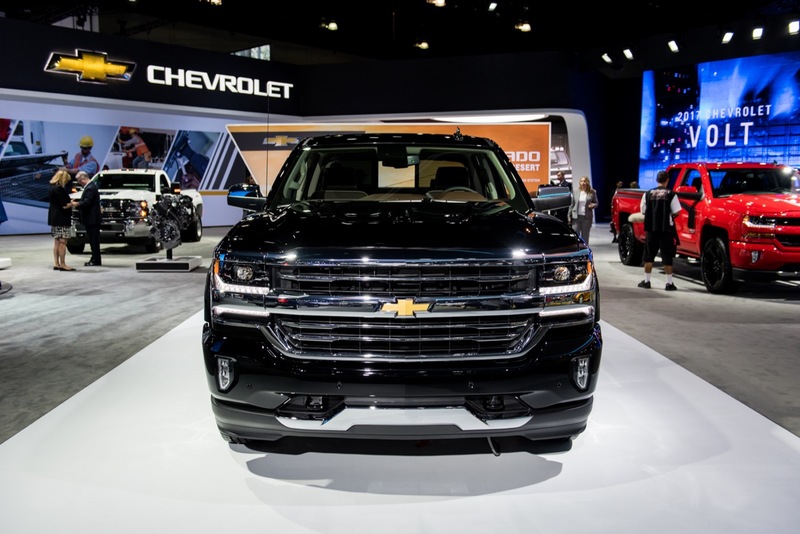 The HydraMatic 8L90 M5U eight-speed automatic transmission is matched with the Silverado LTZ and High Country models with the 5.3L V-8 and 6.2L V-8 engines. 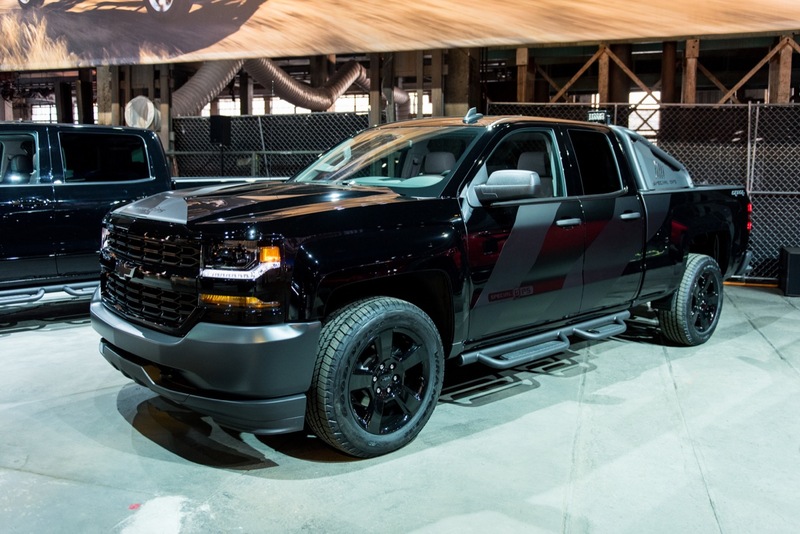 Developed in-house by GM, the transmission is electronically-controlled with overdrive and tow/haul mode. It includes Cruise Grade Braking and Powertrain Grade Braking. It’s roughly the same size and weight as the 6L80 six-speed automatic. Its 7.0 overall gear ratio spread is wider than GM’s six-speed automatic transmissions, which provides a numerically higher first gear ratio. This helps drivers start off more confidently with a heavy load or when trailering. The 8L90 also enables numerically lower rear axle ratios, which reduce engine rpm on the highway. 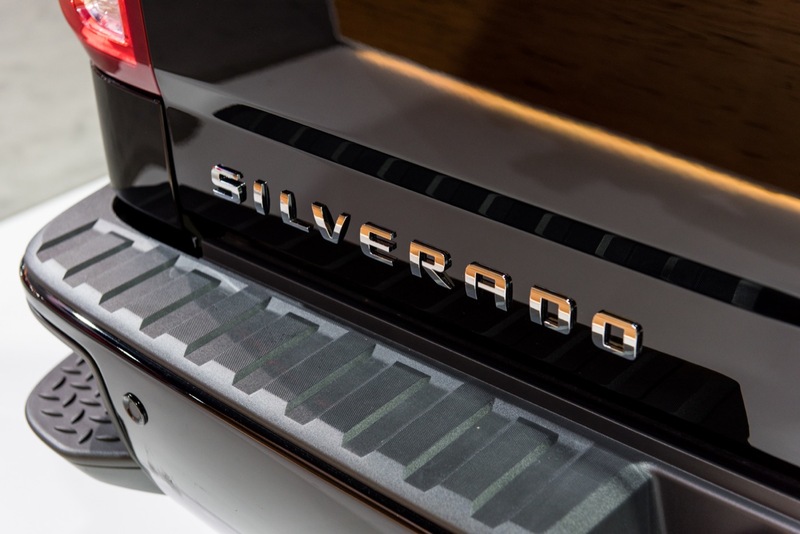 All Silverado 1500 models can be equipped with 4WD; 2WD (rear-wheel-drive) is standard. 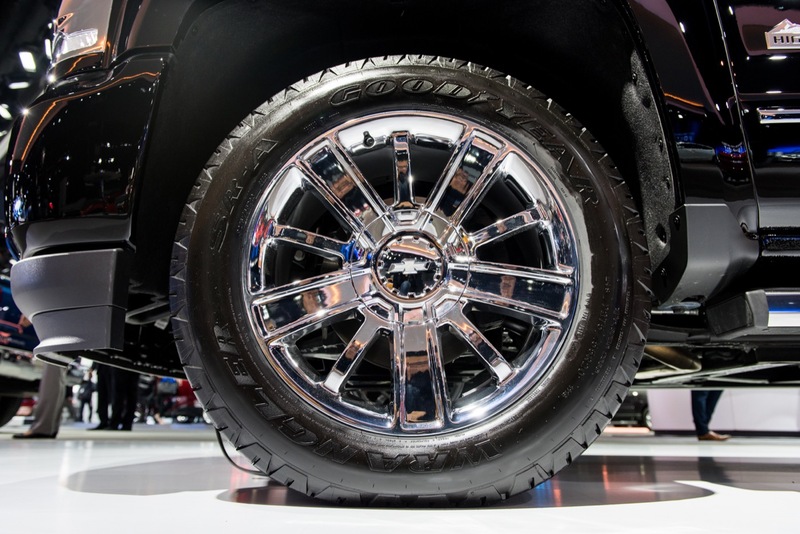 Twenty-inch wheels and all-terrain tires are also available. Hill Descent Control is engaged by the driver and uses the anti-lock braking system to enable a smooth and controlled descent in rough terrain. 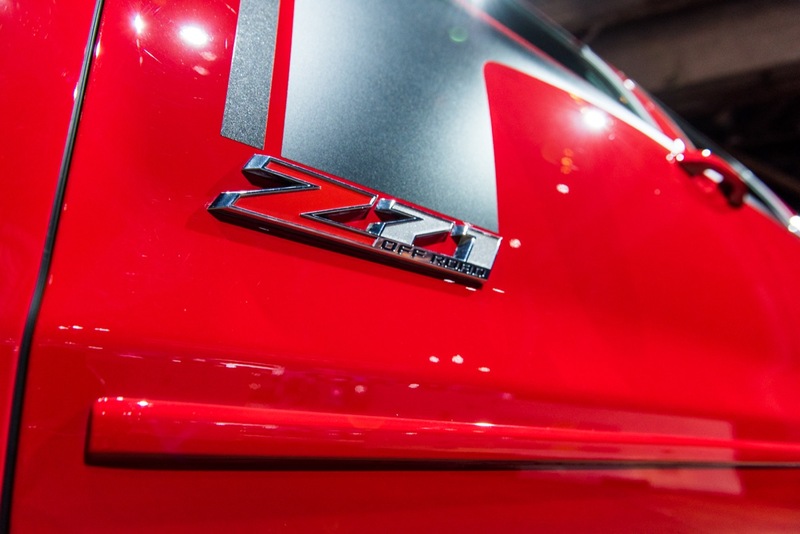 It is included with the Z71 suspension package. Automatic locking rear differential reacts in milliseconds in low-traction situations to improve safety and confidence on wet, snowy or muddy surfaces. Without driver input of any kind, the rear axle engages when a wheel speed difference of 100 rpm or more is detected between the left and right wheels, providing instant traction for confident driving. During normal driving conditions, the differential functions as a conventional light-bias limited-slip axle. 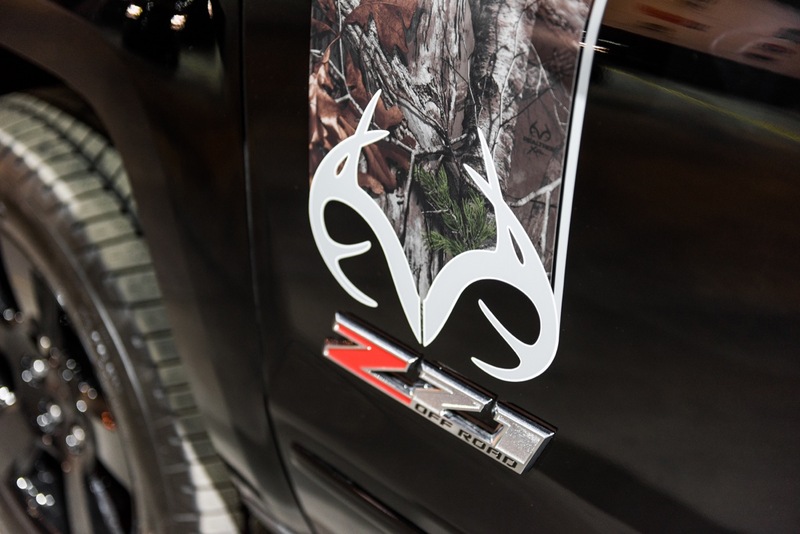 It is standard on Z71 and LTZ trims. It is included with the NHT Max Trailering Package and is available on other models. Electric variable-assist power steering is standard on all models. It reduces steering effort at low speeds. Because there is no engine-driven pump, electric power steering also saves fuel and eliminates the maintenance associated with hydraulic power steering. Four-wheel disc brakes. The large, vented front brake rotors measure 13 inches in diameter and are complemented by 13.6-inch rear rotors. Duralife brake rotors offer up to double the service life. A GM-exclusive process protects against rust that, over time, can lead to steering wheel shudder. It involves super-heating the rotors to more than 1,000 degrees F (560 C) for an entire day in a special oven, where the nitrogen-rich atmosphere promotes nitrogen atoms to bond to the rotors’ surfaces, hardening and strengthening them. 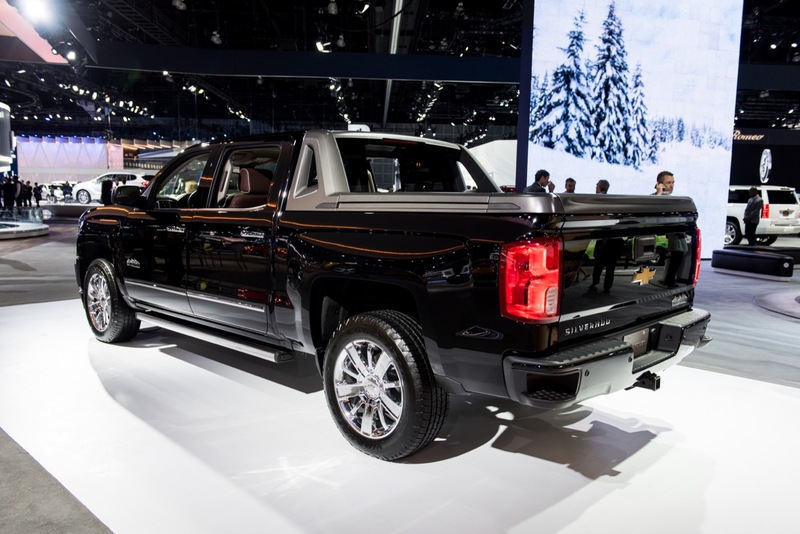 StabiliTrak electronic stability control system is standard on all Silverado 1500 models, working in concert with the four-wheel-disc brake system and four-channel ABS to provide more precise and controlled ABS stops, greater traction and excellent cornering stability. It also incorporates rollover mitigation technology, which anticipates tip-up conditions – such as fishtailing – on a flat road surface and rapidly applies brake pressure to help reduce the likelihood of a rollover. Trailer sway control is also standard and works with StabiliTrak to provide an added measure of confidence when towing a trailer. It senses conditions of trailer sway and, without input from the driver, intervenes with braking and/or reduced engine power to bring the trailer under control and keep it on its intended path. The system will use electric trailer brakes when a trailer is plugged into the standard wiring harness. 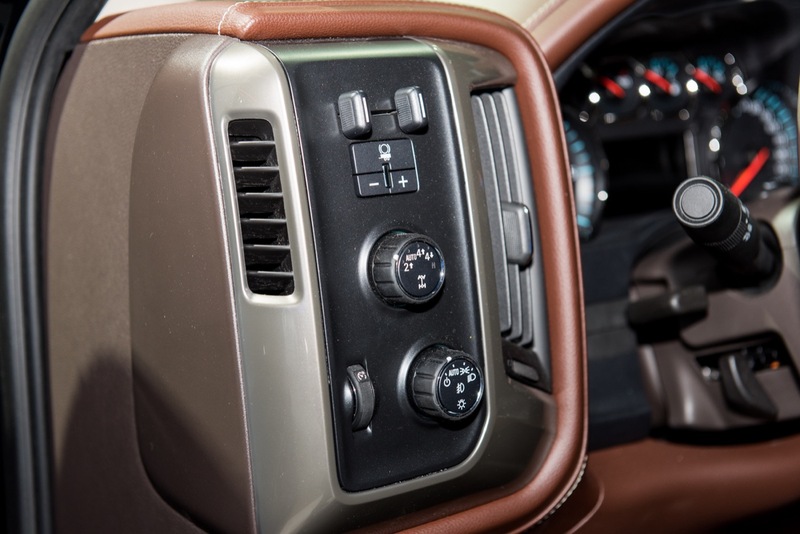 Integrated trailer brake controller and hill start assist are two more solutions that help owners do their work with greater confidence and less hassle. The trailer brake controller allows the driver to adjust the amount of output available to the electric trailer brake and to manually apply the brakes. With hill start assist, the brakes hold for about 1.5 seconds on grades of 5 percent or greater when the driver takes his or her foot off the brake pedal, preventing rollback for a more confident take-off on hilly terrain – especially with a trailer. 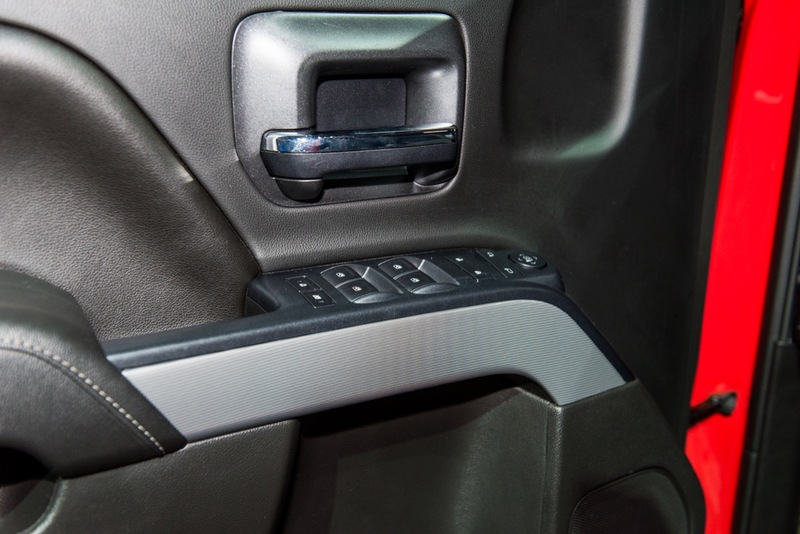 The safety systems in the 2017 Silverado 1500 incorporate technologies designed to protect the driver and passengers before, during and after a collision. 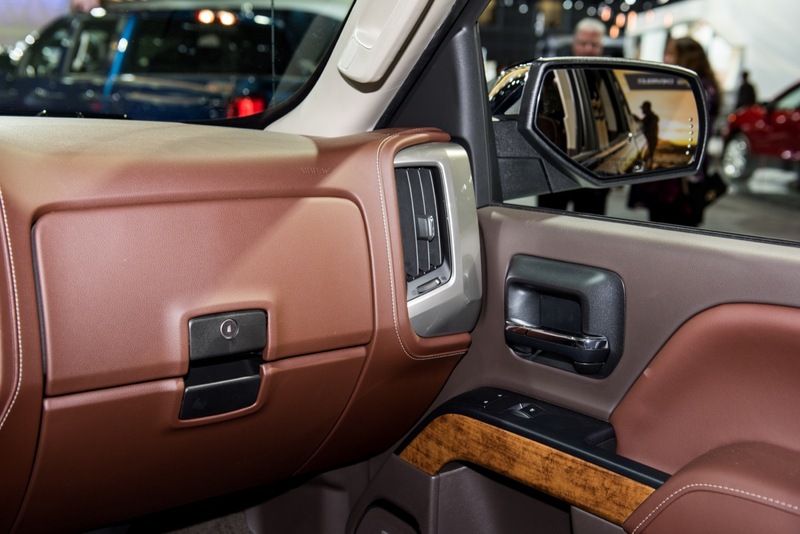 A rear-vision camera is available on WT and LS, and standard on LT, LTZ and High Country. 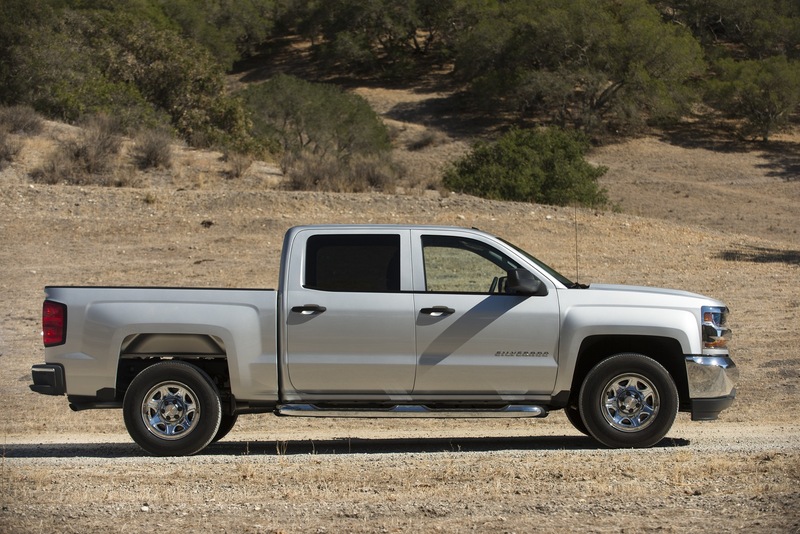 Silverado High Country serves as the top of the Silverado trim level hierarchy. 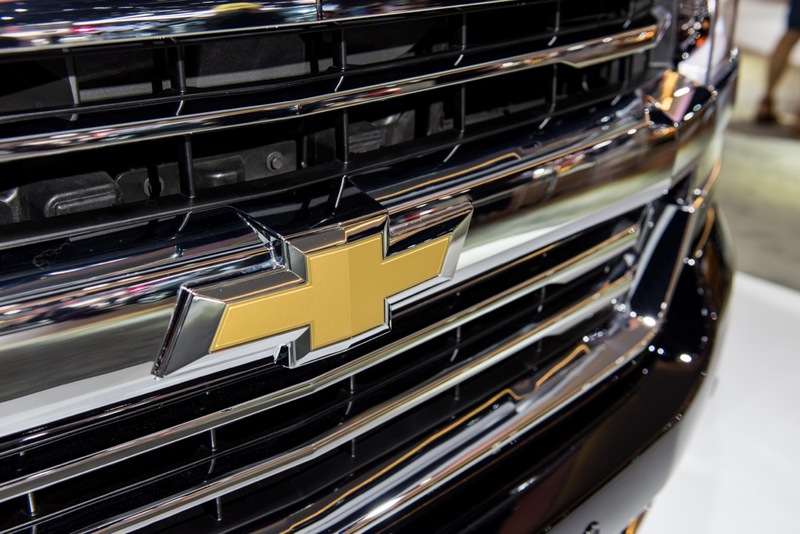 According to Chevrolet, it embodies rugged luxury – craftsmanship, authenticity and functionality – as Chevrolet’s premium full-size pickup”. 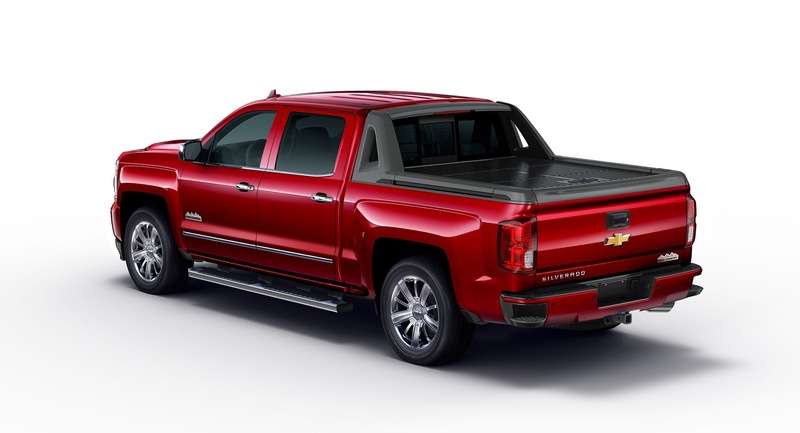 Silverado High Country is offered exclusively in the crew cab body, with the 5’8″ or 6’6″ cargo box, with 2WD or 4WD. 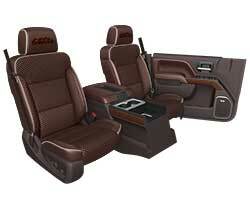 Inside, it features an exclusive saddle brown interior, along with heated and vented, premium leather front bucket seats with High Country logos on the headrests, High Country-logo brushed metal sill plates, Chevrolet MyLink connectivity with an 8-inch-diagonal touch screen and navigation radio, Bose premium audio, wireless phone charging, color-keyed carpeted floor mats and Front and Rear Park Assist. 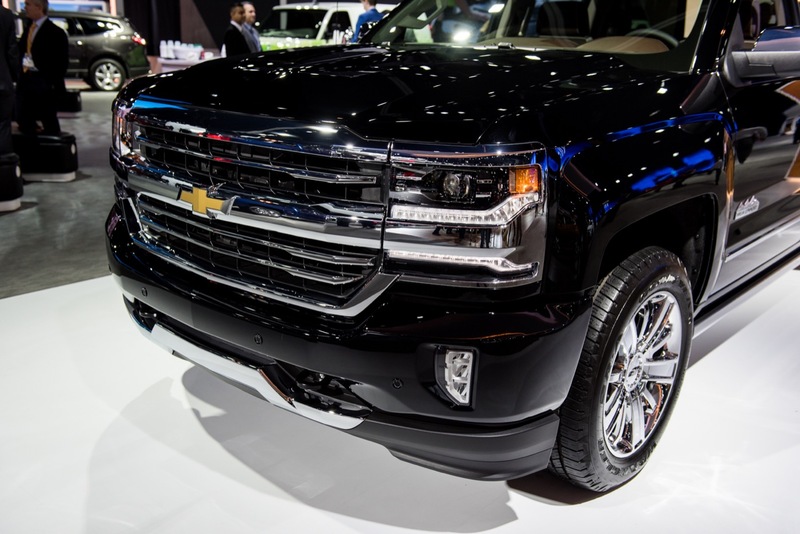 We will update this section when 2017 Silverado 1500 pricing is announced. 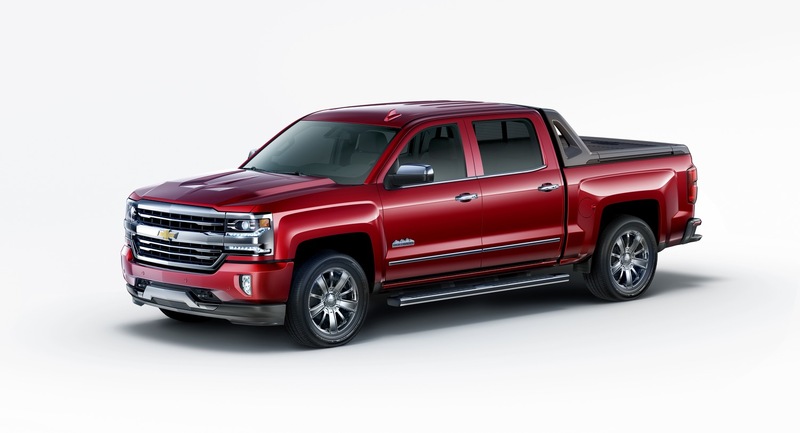 Download the 2017 Chevrolet Silverado 1500 order guide (PDF format). 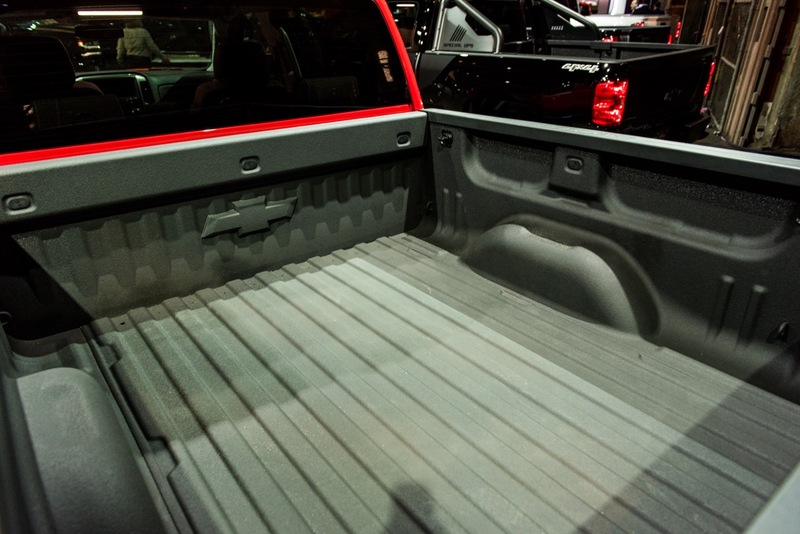 Box length: 6’ 6" 8’ 6’ 6" 5’ 8" 6’ 6"
2017 Silverado owners manual currently not available. We will update this section when it comes online.